There are clear benefits for food & beverage manufacturers in rationalising their automation vendors. 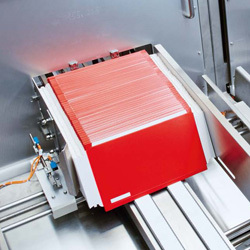 Using a single source of supply for automation components can play a big role in improving flexibility and reducing downtime. 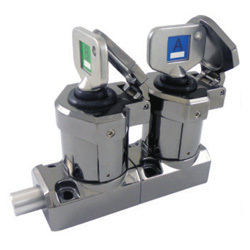 Safety Switches and we are pleased to announce their Skorpion heavy duty trapped key interlock system is now available from LC Automation. Mitsubishi PLC, Widescreen HMI, a.c. Inverter and iQ-Works2 Software - All for Just £999! This great value Mitsubishi Electric Starter Pack is a full Machine Control Solution for under £1000 and with CC-Link IE Field Basic communication built in, it also offers a single network solution at no extra cost! 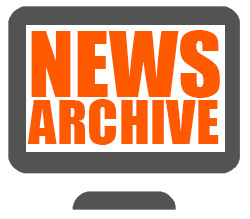 Going to the Drives & Controls? Enjoy Mitsubishi Hospitality with us on Thursday 12th April. LC Automation aren't exhibiting at the Drives and Controls 2018 Exhibition, but several of our suppliers have stands, including Mitsubishi Electric. On Thursday 12th April, you can also join us on their two-floor stand, for a guided tour and experience their legendary hospitality. 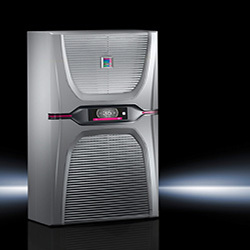 Rittal’s Blue e+ cooling units are the most efficient on the market, with independent tests showing they are 75% more energy efficient than previous cooling solutions. They are now extending the existing range of between 2 to 6kW, with a new unit providing an output class as low as 1.6 kW. 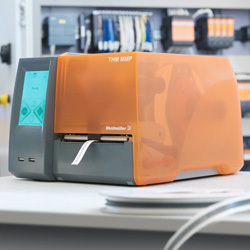 Place an order for £1000 of markers or £3000 on any combination of Weidmuller products (not including SAK products), before the end of June 2018 and get a THM MultiMark printer (worth over £1000 list) for only £1! 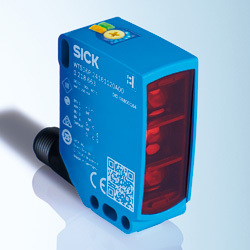 Sick W16 and W26 smart photoelectric sensors love a challenge, so they really kick into gear when confronted with flashes, reflections and vibrations. Thanks to new technology, they particularly detect shiny, uneven, perforated and transparent objects more reliably than ever. The packaging industry has a conflict between productivity and costs. 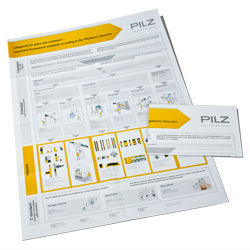 Operators need easy processes for changing materials, but their safety must not lose out. 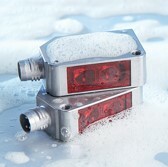 It's an ideal application for the Sick Safeguard Detector safety system. 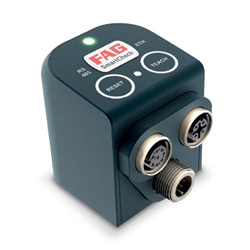 Ethernet plays a major part in industrial automation systems, relying on high speed data to underpin the performance of these networks. 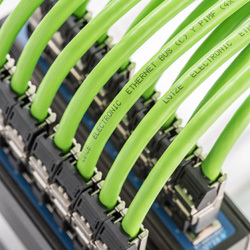 In this Tech Tip article, Lutze help you to understand the requirements of Industrial Ethernet Cables. 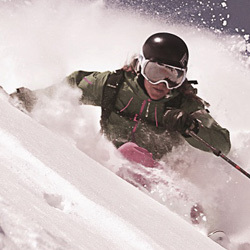 Blizzard, a leading ski manufacturer, was looking for an industrial automation solution to extend their manufacturing visibility and control. 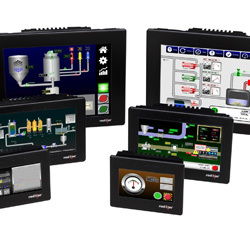 Find out why the Red Lion PTV and Graphite HMIs offered the perfect solution. 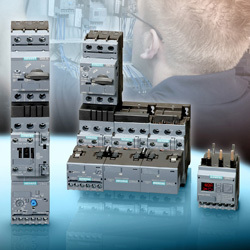 With our special introductory offer, new users can get Free 3RV29 Infeed Units, Expansion Modules and Connection Plugs when you buy the Circuit Breakers and Contactors. 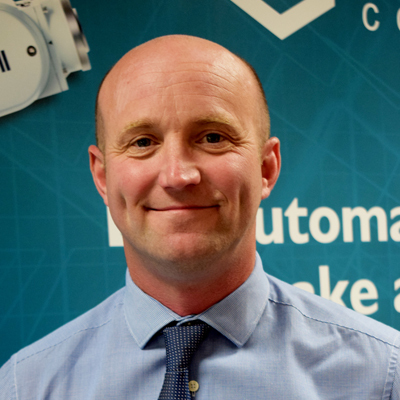 Customer support has always been the cornerstone of LC Automation and we are pleased to announce we have recruited new personnel to help deliver improved customer support across the Southern half of the UK. 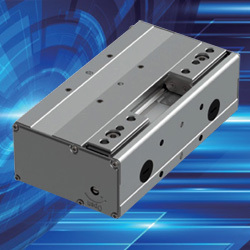 New Thin Gripper has Higher Rigidity, Higher Grip Force, a Height of Only 39mm - and a battery-less absolute encoder as standard, meaning that a home return reset is no longer required after power cycle or emergency stop. 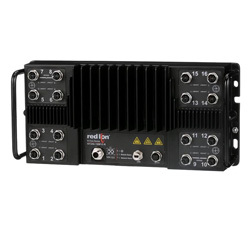 The new N-Tron series NT24k-16M12 IP67 managed Gigabit Ethernet switch provides a rugged, dust proof and water resistant enclosure with 16 coded ports to create a reliable communication network for equipment in harsh environments. Condition monitoring offers a predictive approach to plant maintenance, helping you to reduce downtime. SmartCheck from Mitsubishi Electric can help to optimise your maintenance activities, providing up to date visibility of the status of your machinery, especially motors, fans, pumps and gearboxes.